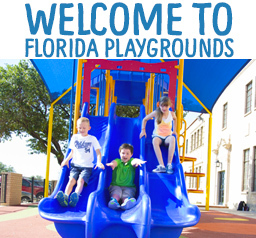 Florida Playgrounds is one of Florida’s largest installers and distributors of commercial playground equipment, playground surfacing, shade structures and site furnishings. 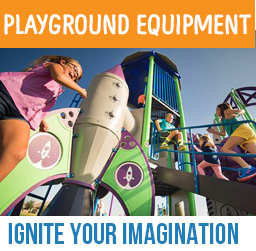 With access to thousands of recreational products, and well over a dozen manufacturers, we’re sure to find a solution to bring the fun back into your playgrounds and amenities centers. We can assist with your initial designs plans through our free design consultation. We’ll provide a complementary site plan and colored rendering of your new playground. 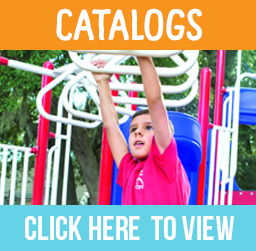 Florida Playgrounds can incorporate themes of the school as well, for example many schools are not aware of the simplicity of water play systems that can be connected to an external water supply. It’s hot outside and your playground surfaces can easily reach 160 degrees. Average temperatures during summer in Florida range between 85-90 degrees Fahrenheit. Adding shade, or a simple water play system separate from the playground itself can allow children to cool themselves during summer and keep them safe by using the poured-In-place safety surface. How can we appeal to our parents/supervisors and needs of all users? If the playground is used publicly, then we will make certain we’re complying with accessibility requirements public parks & include additional amenities to accommodate all users. For instance, parents can have an accessible covered seating area, with benches, picnic tables, trash receptacles and a pet tie-up station.